Here at Beautiful smile dental our expertise doesn’t stop with a degree. Each member of our dental care team studies to become an expert in understanding our patients, keeps up with the latest information and techniques in the industry, and strives to deliver the care well-suited to each patient. This involves formal as well as informal continuing education and training. We’d like to help you understand how our approach to dentistry can benefit you and your family, with regard to every aspect of your lifetime dental health. After receiving her undergraduate degree from San Jose State University, Dr. Zadeh earned her D.D.S. 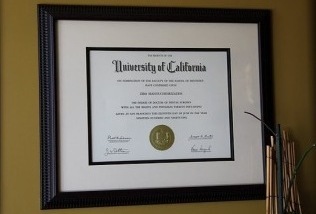 degree from the UCSF Dental School in 1995. Since then, the doctor has kept up-to-date in her field through numerous continuing education courses, including those in orthodontics, Zoom!, Invisalign and cosmetic dentistry. She also remains active in the dental community as a member of the United States Dental Institute. My devotion to patient care,coupled with my desire to advance the art ofdentistry, motivated me to expand my career in anew, imaginative direction, Dr. Zadeh says. Dr. Ammari is a highly knowledgeable and patient-centered Orthodontist with 10+ years experience and expertise in Invisalign, MTM, functional appliances, self-ligating brackets, miniscrew implants/TADs, and laser treatments and procedures. She contributes to teams of oral care specialists through continual professional development, expert technical knowledge, and treatment innovation. Dr. Ammari is a lecturer on Invisalign clear orthodontics and an associate adjunct clinical professor of orthodontics at the University of the Pacific School of Dentistry. 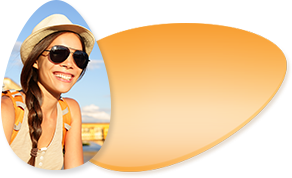 The entire staff of Beautiful Smile Dental looks forward to showing you how the finest dental care can improve your life.